Ideacademy Inc. is the exclusive representative of McGraw-Hill Education (MHE) in the Philippines. It functions as the marketing and sales division of MHE in the country, primarily endorsing to huge bookstore chains, book dealers and distributors. They create and maintain solid academic relationships with graduate schools, universities, colleges and pre-K-12 schools. They also cater to the corporate or professional market with their Trade and Medical titles. As the representative of MHE, Ideacademy Inc. is involved with education, reference books, leading medical publications, and recently, adaptive learning technology. MHE is a leading learning science company founded in 1916. For a hundred years, they have remained a front runner in developing teaching and learning methods for professional education, higher learning and early childhood. They utilize learning science to form educational tools and content that improve outcomes for the world’s learners. The learning science company aims to improve learning through engaging, intuitive, effective and efficient experiences backed by proper research. They believe the application of their profound understanding of the mind and the process of learning contributes to unleashing a brighter future for each learner. 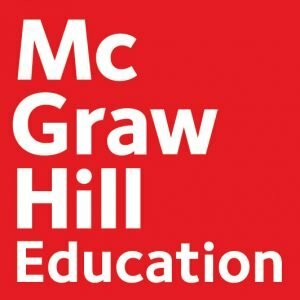 McGraw-Hill Education intends to make the educational experience more effective and efficient by merging digital content with software that enhances the science of learning. They are developing universally accessible products that meet the needs of any learner, including those with disabilities. The company aims to foster a culture that purposely considers people with disabilities during the creation of their products. To achieve this goal, they extensively plan, research, train and conduct activities during product development. MHE knows that educators will always be a central part of the learning experience. The methods the company develops assist educators in conveying lessons to students more efficiently. They know advanced technologies will improve education inside and outside of the classroom. It will also strengthen the relationship between teachers and students to enable greater success. The company’s learning engineers, pedagogical experts and content developers collaborate with educators around the globe to improve progressively open learning ecosystems. They make sure that the methods will elevate grades, increase engagement for each individual learner, and pass rates while cultivating results for all. Ideacademy Inc. (McGraw-Hill Education), a new member of the Israel Chamber of Commerce of the Philippines (ICCP), is represented by Haim Katzav.